Big news from Rome: The Vatican announced this morning that Pope Benedict XVI is resigning at the end of the month. The last time a Pope resigned, it was in 1415—and the purpose was to end the Western Schism. (Three men were all claiming to be the Pope simultaneously. Things got confusing). This time, the 85-year-old Pope’s reason for his departure seems a little more personal. It’s most likely because of his health, which seems to have been deteriorating in recent months. You can read the Pope’s declaration of his resignation here. The conclave will be held in March. For visitors to Rome, that means not only the excitement of the usual media hulabaloo, but also, of course, a chance to see the Sistine Chapel chimney puff out its famous white smoke, the famed sign that a new Pope has been elected. 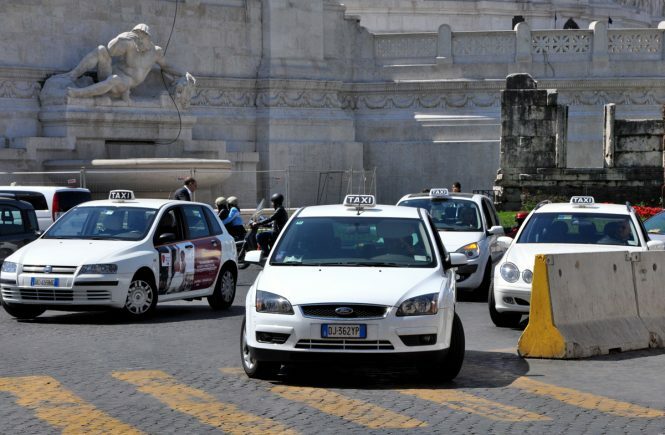 How long will pilgrims, tourists and the merely curious have to wait in St. Peter’s Square to see white smoke? Who knows. But the past couple of conclaves have been relatively swift: Pope John Paul II was elected in 1978 after just two days, while the conclave for Pope Benedict XVI started on the evening of April 18 and finished the next day. March’s conclave also means pilgrims will be coming from all over the world for the chance to be in Rome during the election of a new pope. 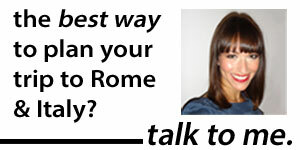 So, a word to the wise: If you’re planning a March trip to Rome, book your airline tickets and hotel reservations now! 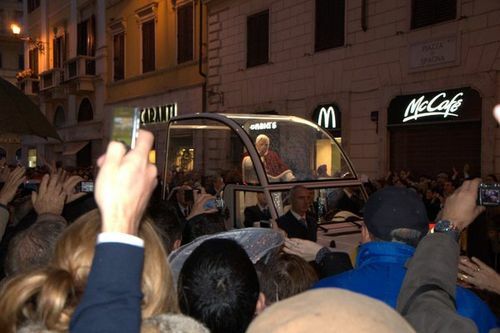 Love that photo, especially with the modern Popemobile juxtaposed with the McCafe sign.